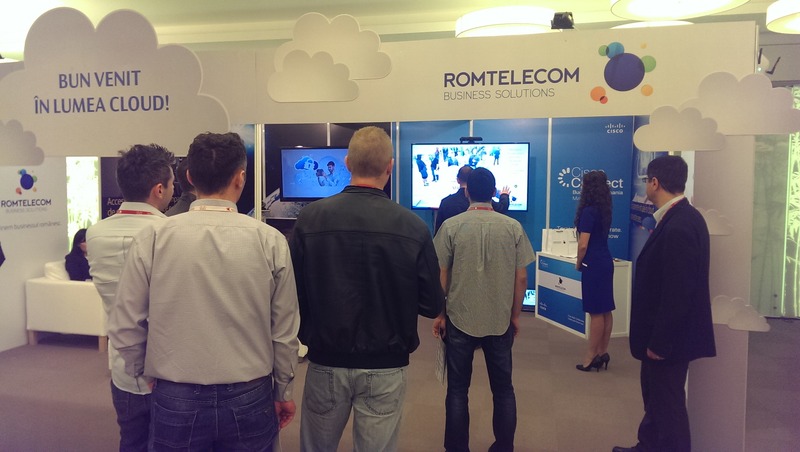 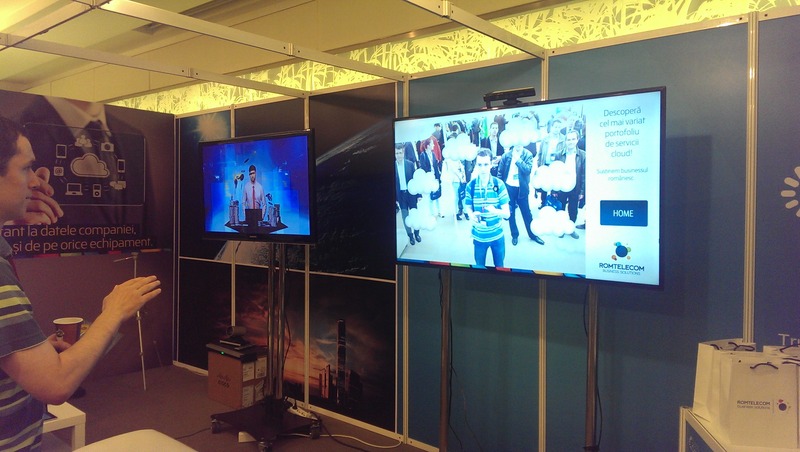 Delegates were invited to discover in an interactive way the new business solutions offered by Romtelecom. 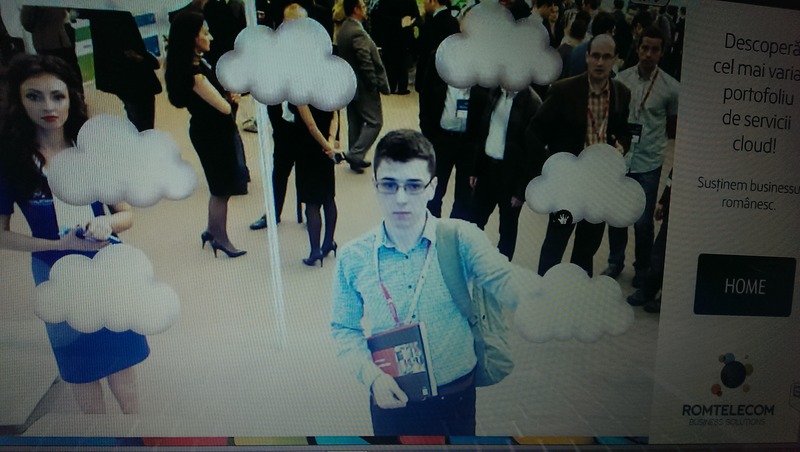 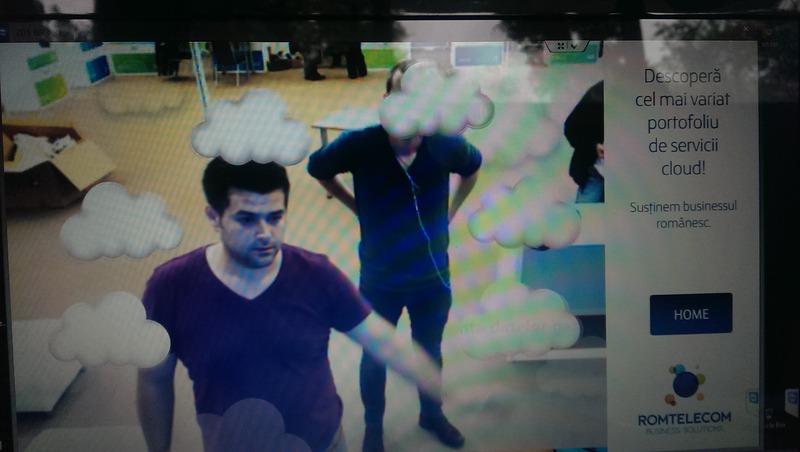 This application allows people to see themselves projected on a screen and discover they are able to interact with 6 virtual clouds via simples hand movements. 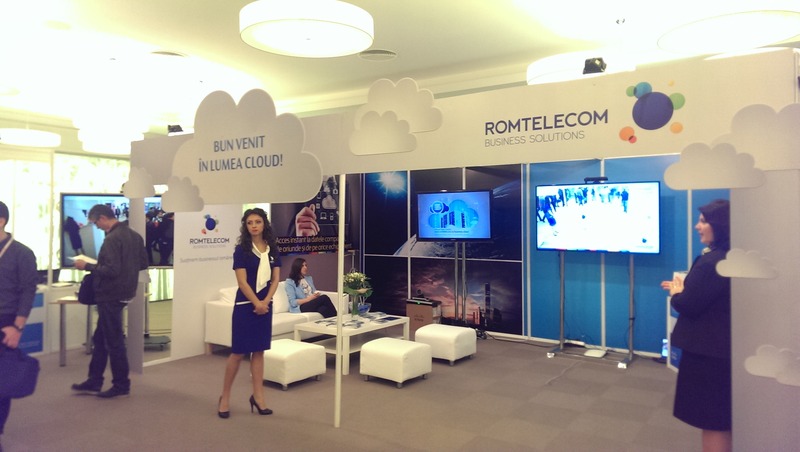 Each cloud represent a new solution offered by Romtelecom. 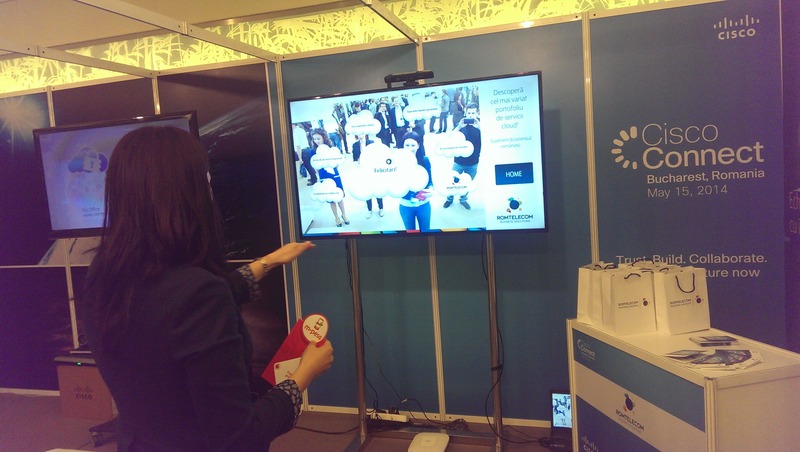 If the word discovered behind the cloud is Romtelecom, the player receives a prize.